Home » Video Production Blog » Pool Party!!! What better way to celebrate on Labor Day weekend than by going to a pool party!? 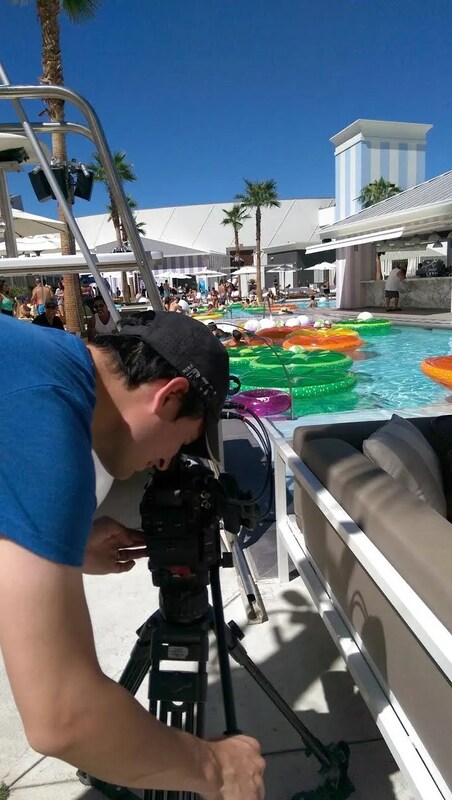 FiveSix Productions gathered some Canon C300s and our favorite SoundDevices 633 audio mixer, and headed over to the Foxtail Pool at the SLS Las Vegas. It was definitely a ruckus time as we soaked up the rays, and got down to the sounds of DJ Ikon, Tinashe, and our old pal, Charli XCX. Red Carpets, popped bottles, celebrities, and a lot of chlorine were all the rage this weekend, and gosh-darn-it, we were sad to leave it all behind; that’s how life goes for us common-folk though. Well, we’ve got a full slate this week, so it’s time to get back to it. Peace out, party people.